I've been feeling inspired creatively lately that even applies to the kitchen, I have been experimenting with new foods and just generally enjoying this creative spell. 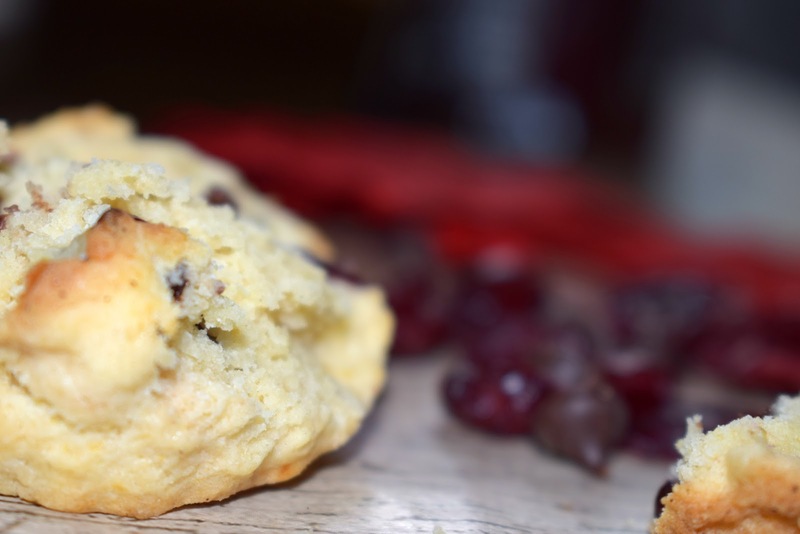 Now I love a good traditional scone filled with dried fruit, but I know many, including my youngest son do no not enjoy sultanas or raisins, so how to mix it up, how to take the humble scone to new heights, and tickle the whole family's tastebuds. And then it came to me in a flash of inspiration, haha, why not get seasonal it's heading towards that time of the year when the cranberry makes its appearance on the baking scene, and cranberry and chocolate are a match made in heaven, so there the idea was born for Cranberry and Chocolate chip Scones, I made mini ones, perfect mouthfuls of yumminess but just use a bigger cutter to make less, bigger scones the choice is yours. Preheat oven to 200c/400f/gm6, line a baking sheet with greaseproof paper. Sift the flour into a bowl adding in the sugar, baking powder and butter, rub until resembles breadcrumbs. Add the fruit/choc chips, the beaten egg and about half of the milk, mix together with your hands to form a dough add more milk if required. 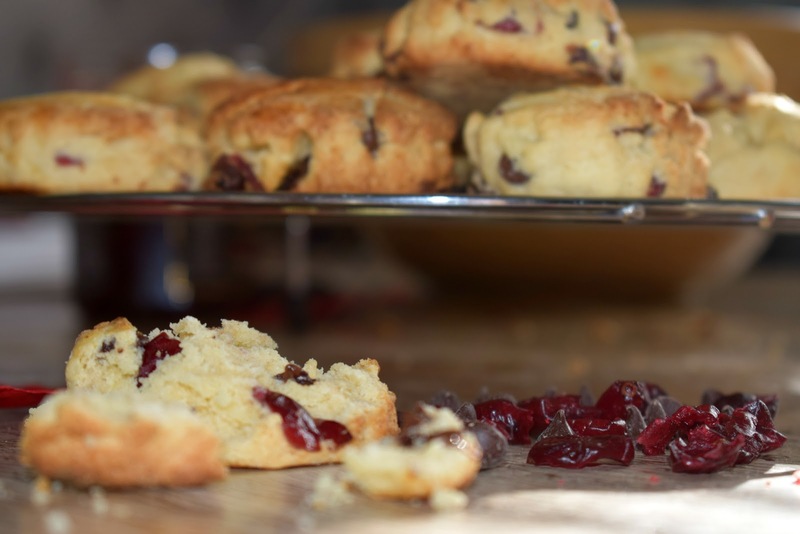 Turn the dough out onto a floured surface and roll to about 3cm thick, cut out scones using a round cutter and lay on prepared baking sheet, brush with milk and bake for around 12 minutes until golden. 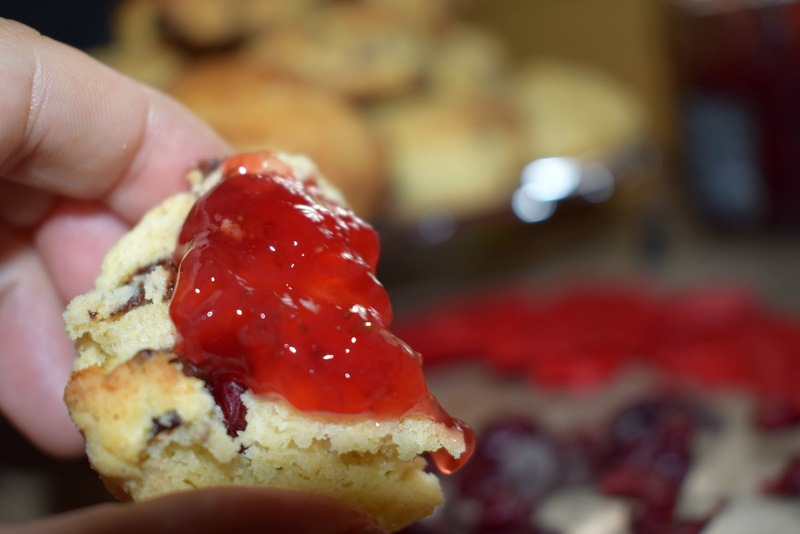 Allow to cool on a wire rack, if you can wait before devouring with a dollop of good jam. 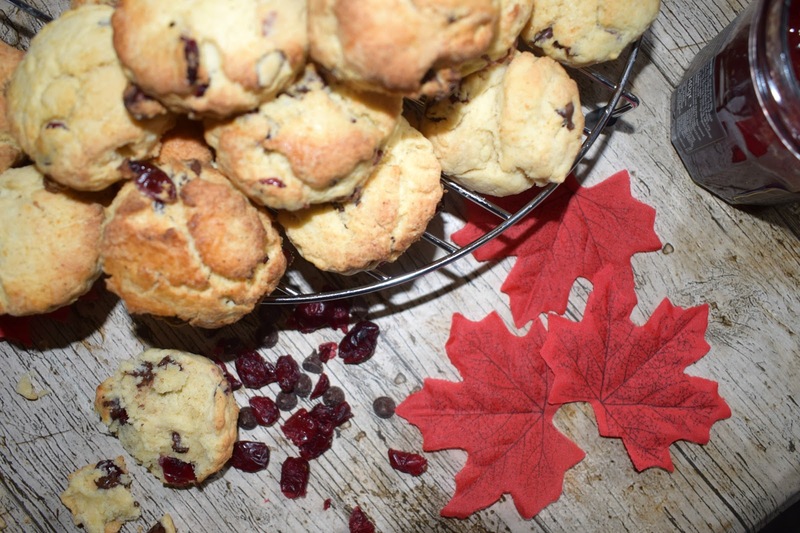 Let me know what you think to cranberry and choc chip scones. 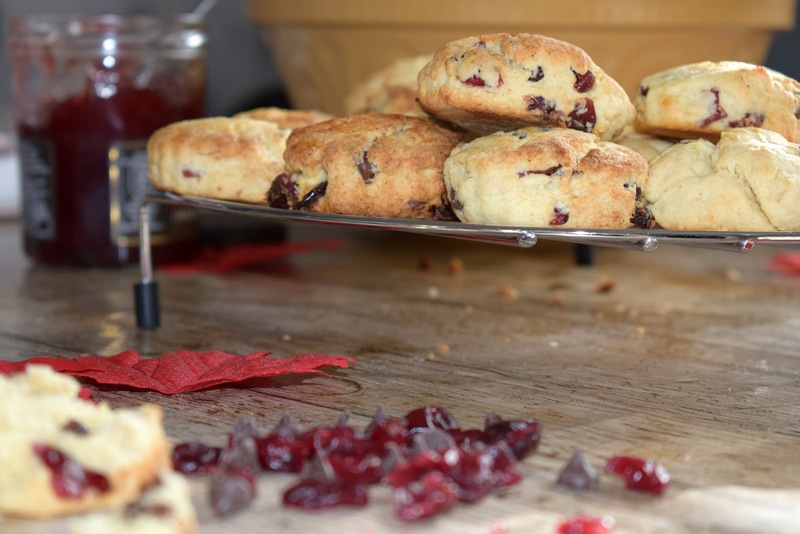 I haven't had a good scone in ages and these look so delicious!